You must have noticed by now that I like pumpkin and love pumpkin desserts (cake, bread, pie). Because I always make such big batches of fresh pumpkin purée, I constantly search and think of new pumpkin-based desserts to bake. 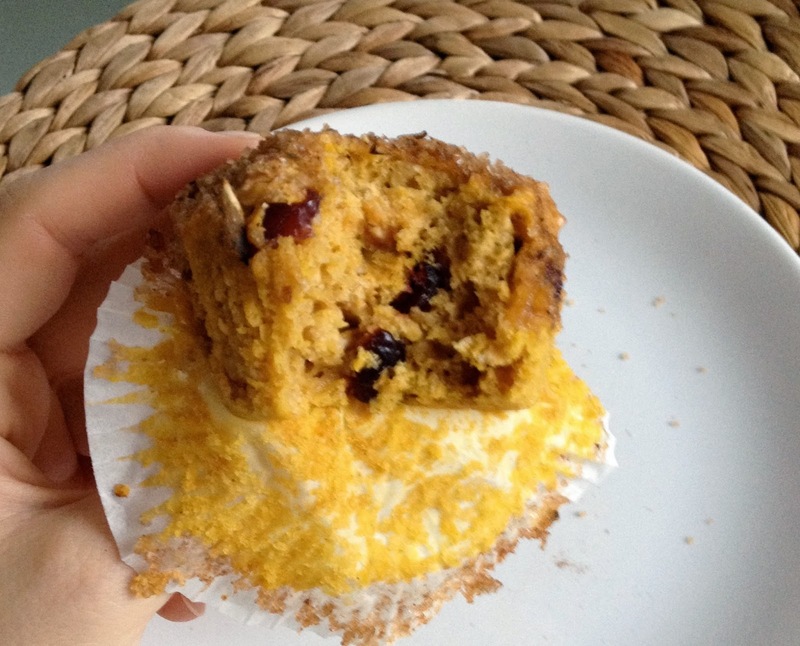 This time I made pumpkin muffins filled with oats and cranberries, and covered with cinnamon and pumpkin seeds. 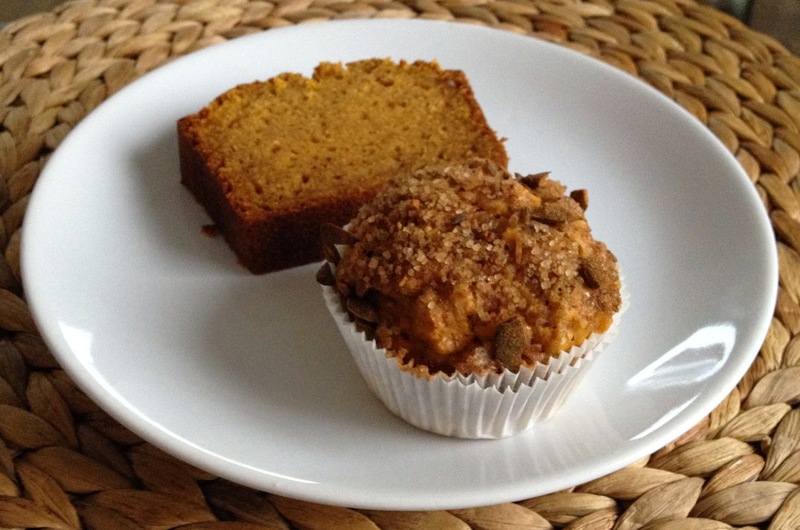 These muffins are great for breakfast and can be easily frozen down and thawed at a later time. 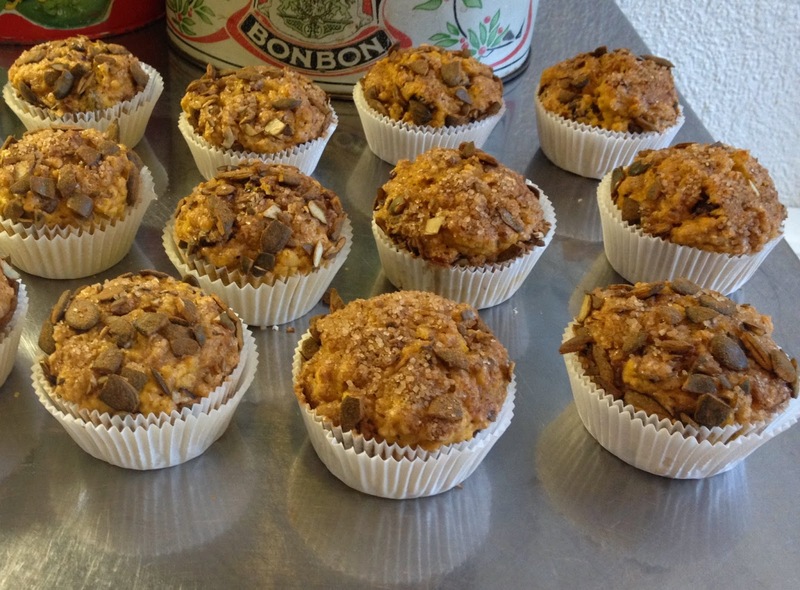 Oats make muffins less cake-like and you can easily replace white flour with wholewheat flour if you prefer a "healthier" muffin. Cranberries make an interesting, slightly acidic contrast with the pumpkin and pumpkin seeds (or pepitas) add a crunchy side to these pumpkin muffins. Try them, I love them as snack! Mix wet ingredients. 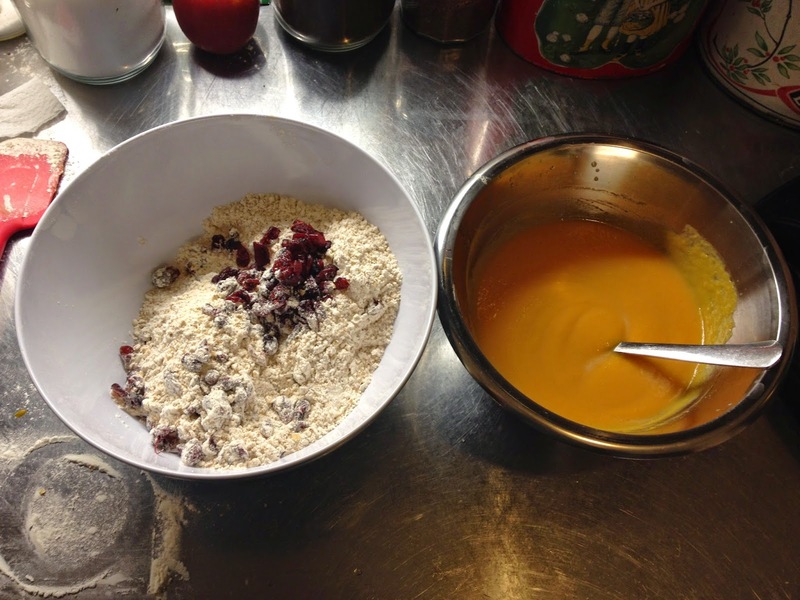 In a separate bowl mix dry ingredients and add cranberries once mixed. Add dry ingredients to wet ingredients and mix only until incorporated. 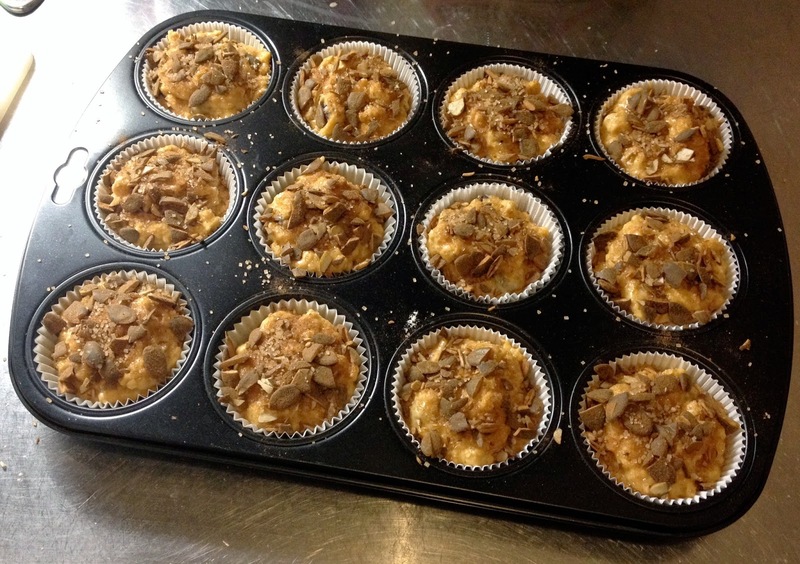 Line a muffin pan with muffin paper forms and fill them with dough to 3/4 of volume. 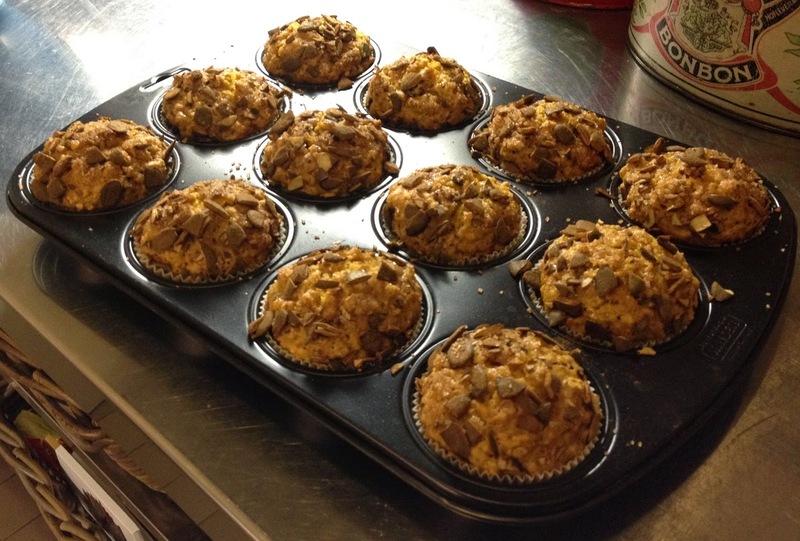 Mix ingredients for topping and sprinkle on top of muffins. Bake approx. 20 min at 190C (until toothpick comes out clean).